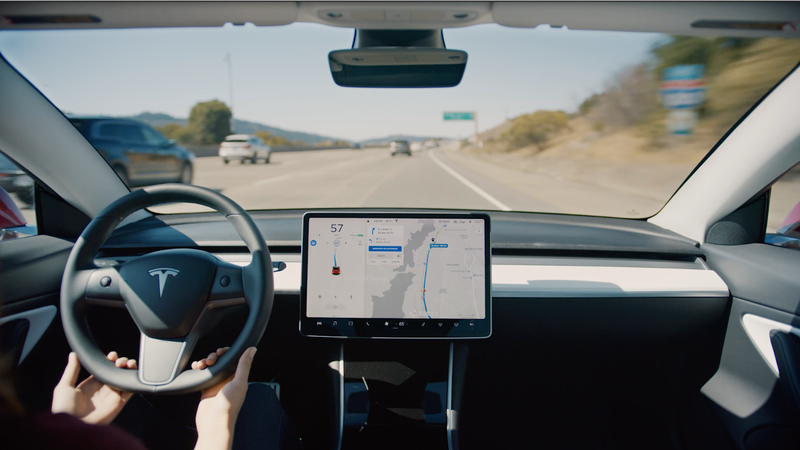 Last November, Tesla introduced Navigate on Autopilot technology, which will use the car’s navigation system to calculate when lane changes are necessary for seamless onramp to offramp highway driving. The system was a step in the right direction if toward autonomous cars, but still required an attentive driver to agree to the lane change before the car could move over on its own. With a new over-the-air update beginning roll out today, the system no longer requires confirmation, and will perform the lane change solo. According to Tesla, the Navigate on Autopilot system has been tested through 66 million miles of consumer driving and has suggested and executed over 9 million lane changes. With that track record to go on, Tesla is now turning on the ability for owners to enable the system to take over lane changes on the highway without driver input. So long as you’re on a highway, and you’ve got a destination set in your navigation system, the system can take over by default. The system will now notify the driver that a lane change is about to happen, and give them an opportunity to look around them to ensure safety of the lane change. If your over-the-shoulder glance spots a car the system missed, you can cancel the action by moving the turn signal stalk, or pressing a cancellation pop up notification on the touchscreen. Tesla is cautious in its description of the new software, careful to skirt around the issue of full autonomy. The system requires your hands on the wheel to function. With the legalese out of the way, it’s pretty clear to me from a cursory glance at the track record of Tesla drivers that very few of them will look around or even acknowledge the pop-up. Those that use it properly will get a nice benefit, but those who use this system improperly will now have even more incentive to look away from the road or tape a can of soda to the steering wheel to trick it into thinking hands are on the wheel. Don’t be an idiot. Trust your eyes over the car’s computer. Pay attention. Please.